SnowWorld at First World Genting Highlands is the largest winter wonderland in Malaysia. 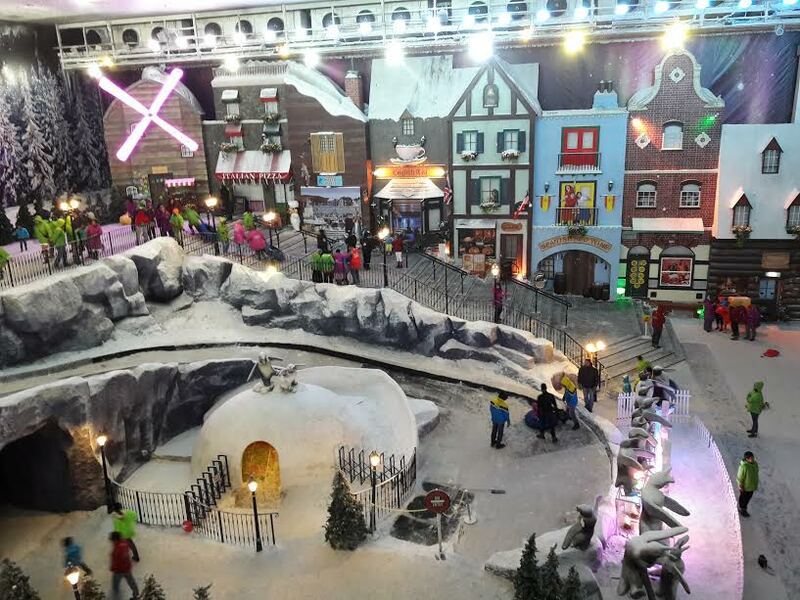 It covers an area of 22,800 square feet and the temperature is -6 degrees Celcius. 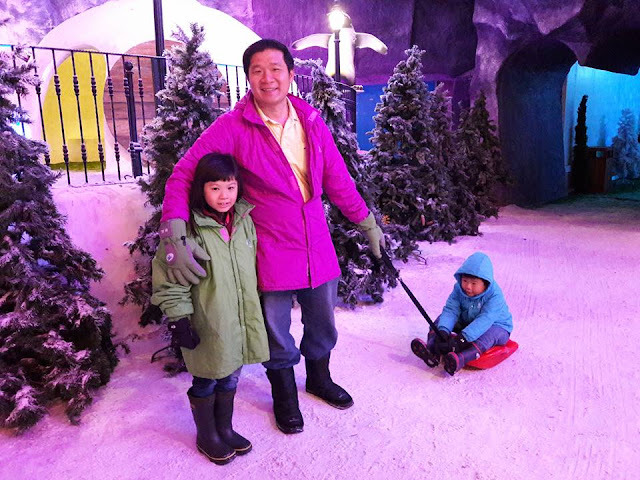 My family has been to Genting Highlands many times and we never get bored because there are lots of things to see and do here. Two days ago, we were invited to visit SnowWorld to see their latest European facade and comical props. These come in the form of 3D trick art, fanciful comical props with hilarious names like King's Feast, Falling Chandelier, Distorted Knight, Snow Monster and Dragon Prop. It was really a fun and memorable experience and we enjoyed every moment there even though it was freezing cold. My children enjoyed sliding down the slope on the tube. They went on this 3 times. Playing in the snow was so much fun and we didn't need to travel far to other countries to play snow. 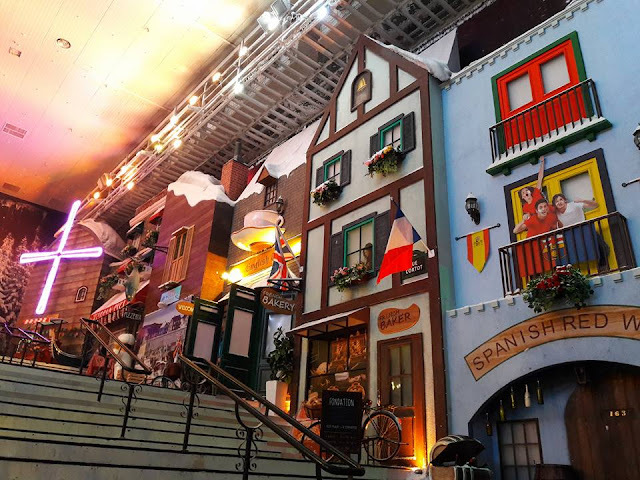 I really like the European facade because it's like a European village with replicas of various European symbols creating a believable imaginary world. It reminded me of my tour to Europe with my parents and brother many years ago. You can make-believe you are touring Europe as you take in the sights and sounds at the various "countries" created, namely Holland, Italy, Norway, England, France, Spain, Germany and Switzerland. 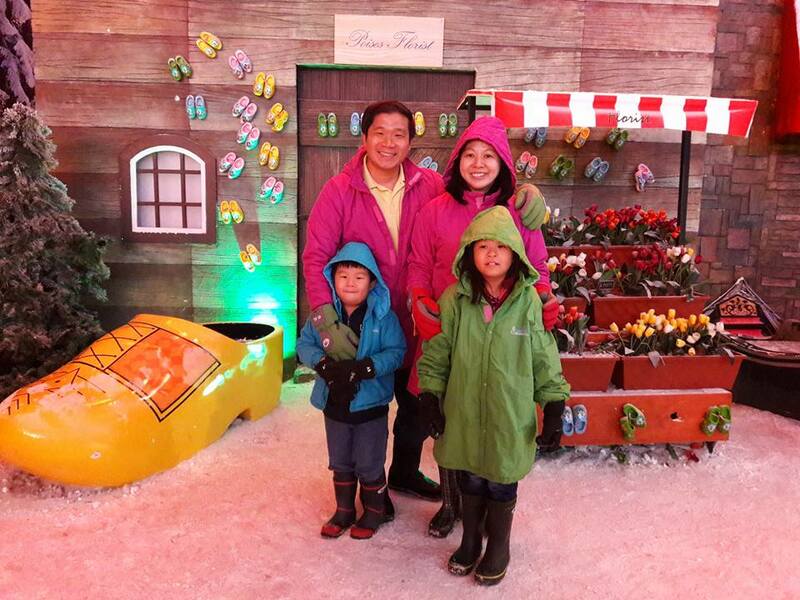 This is a beautiful family photo taken in front of the Holland facade with the 3D Holland Clog. I was holding a French bread at the France facade. The bread looked very real and I felt like I was in France for a moment. 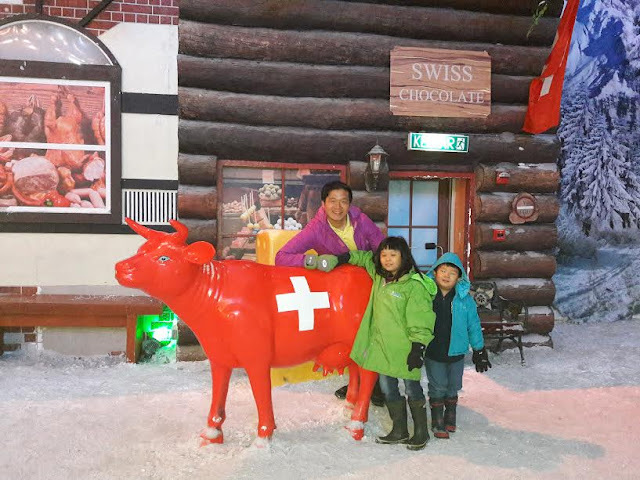 A big red cow in front of the Swiss Chocolate shop at the Switzerland facade. My children learned a lot about each European country by visiting SnowWorld. 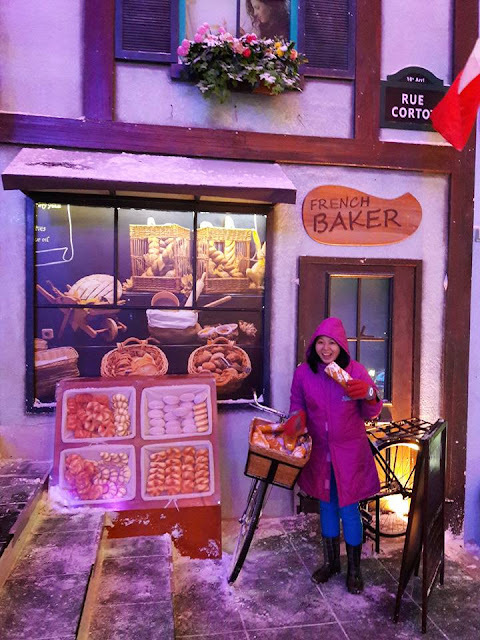 The tour itself can be considered educational - Geography lessons for children or visitors can come here to take beautiful heartwarming photos with their friends and family. 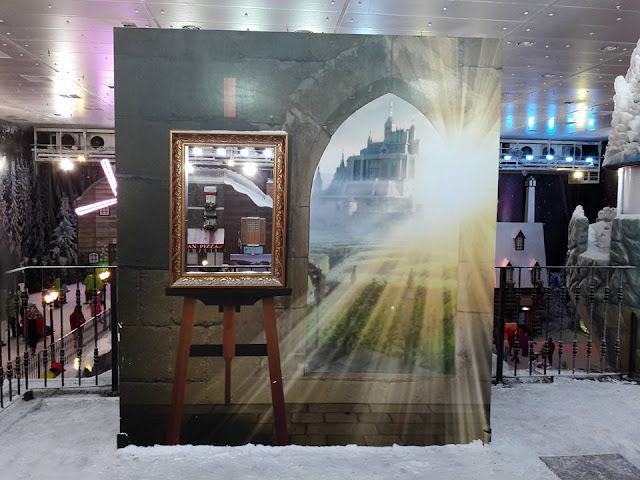 There are lots of 3D trick art photos for visitors to take on the top most level. You need to becareful when you walk because it is slippery when ice is formed. 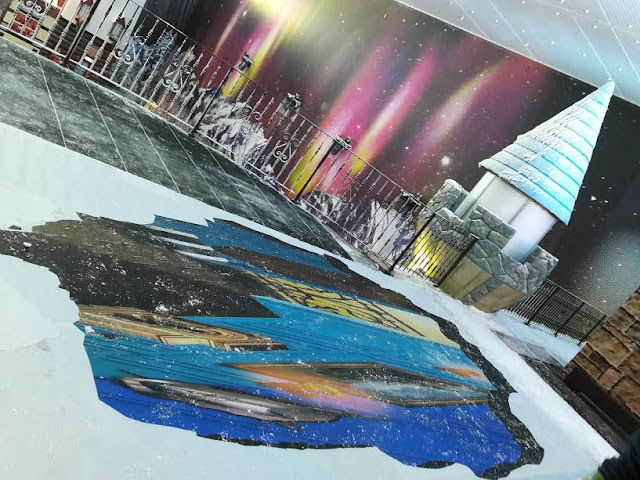 Visitors can take pictures of themselves with the Snow Monster or as part of someone's food at the King's Feast or appear to be stuck in a black cast-iron cauldron, the unfortunate victim of a trio of witches at the Bubble, Bubble Toil an Trouble segment. A very nice photo of a 3D prop taken by Miera Nadhirah. This is fun, even for adults! Until when is this attraction will lasts? This SnowWorld is always here at Genting Highlands, probably the props will be changed from time to time. Yes, it was cold. If not we could play longer. IT looks so beautiful. Time to visit Genting again! Yes with the new props, it's going to be memorable and fun. What a wonderful family time you had. 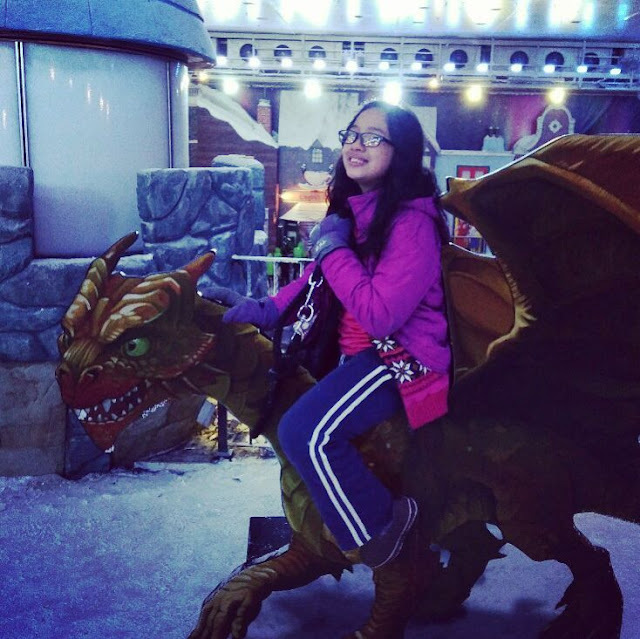 I wish I could go to SnowWorld or similar. Haven't experienced winter before, real or man-made. 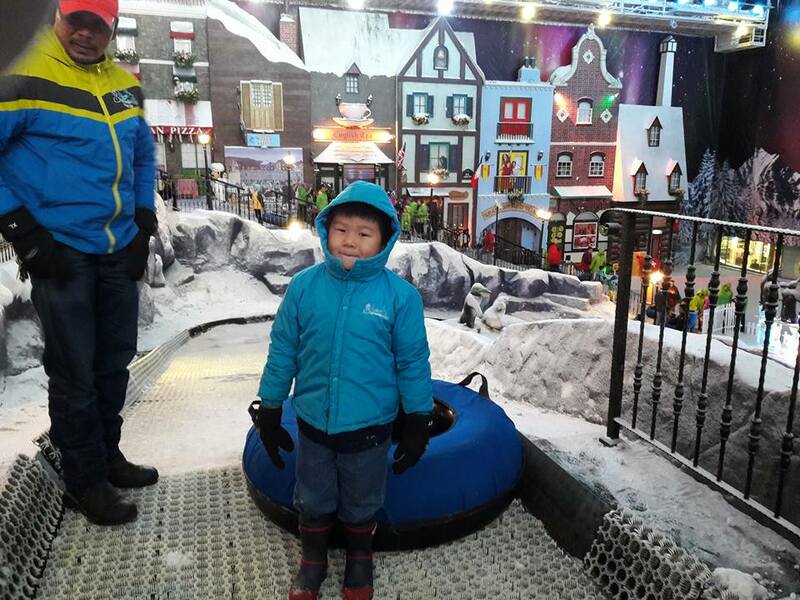 You should go to SnowWorld. It's a lot of fun. The next family vacation, I will bring the kids here - let them experience the snow. 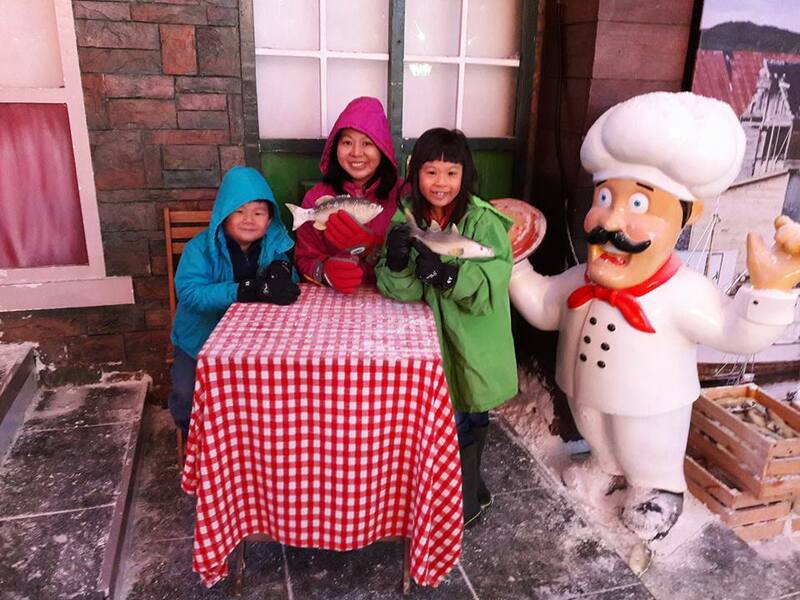 Good to let them play, learn and experience snow. Yes, a cheaper and great way to experience snow. 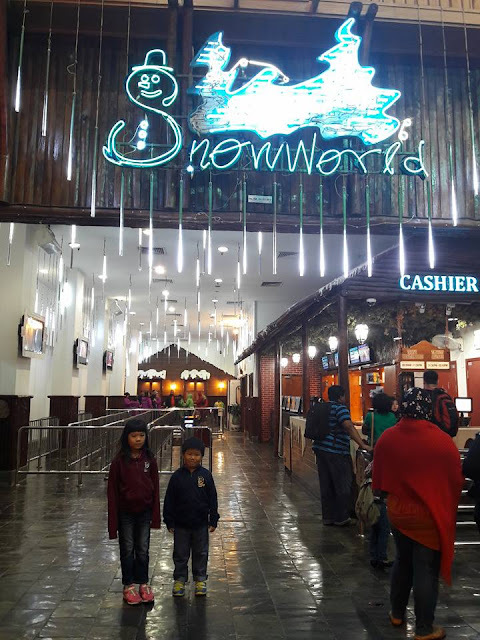 Snow World is good place to experience snow in Malaysia. What a wonderful family time you had.